Truckee fire officials are encouraging residents to start preparing for wildfire season. Truckee residents can learn more about how to prepare for a fire and evacuation at readyforwildfire.org. Despite the recent heavy snowfall Truckee officials are asking that residents start thinking about fire season, taking the necessary steps to prevent wildfires. 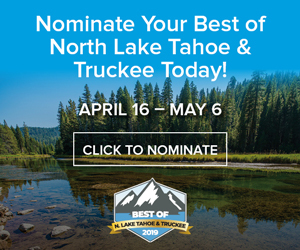 “It’s hard for people to imagine that there will be a wildfire this summer,” said Bill Seline, chief of the Truckee Fire Protection District. “The snow is going to melt and things are going to dry out. What we do today is going to affect how we perform this summer,” he said. Seline told a Good Morning Truckee audience Tuesday that part of preparing for wildfire season, is taking accountability for personal property. 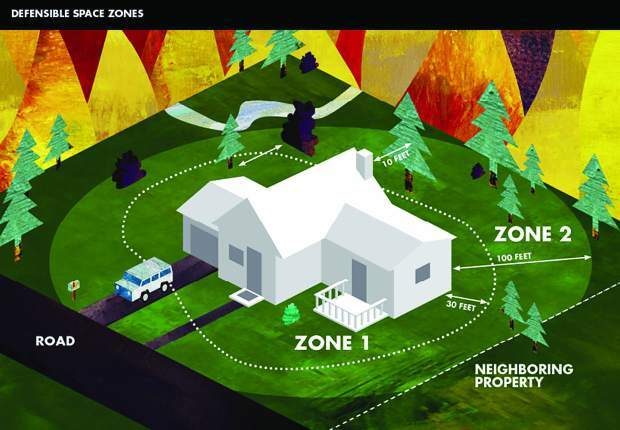 State law requires 100 feet of defensible space around homes. This means keeping grass short and watered, stacking firewood away from homes, reducing the density of the surrounding forest, pruning branches up to 6 feet from the ground and keeping the roof and gutters clear of debris. “We will hold people accountable if we need to,” he said. Truckee is considered to be in a Wildland Urban Interface, in which vegetation is interspersed within the community. With the growth of Truckee’s population comes the growing risk of destructive wildfires. “More people means the likelihood of a fire, more values at risk and more homes and people in the way,” said Seline. Nine of the most destructive wildfires in California’s history occurred in the last five years, he said. “It not a new problem, but some of these bigger fires sure are,” he said. One reason for more destructive fires is the increased amount of brush and vegetation in the forests in the last century when the forest service began aggressively fighting all fires. “Before 100 years ago low-intensity fires burned regularly. Every five to 10 years these fires would clear out all the dead brush,” he said. As there have been relatively few large fires within this 100-year period, there remains more fuel that needs to be removed. ”We’ve created our own problem protecting ourselves,” he said. While Seline said there’s no quick fix to prevent wildfire, the threat can be mitigated through thinning the forests by hand or prescribed burning. 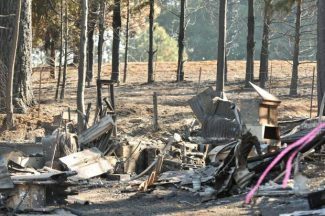 “Prescribed burning is the quickest and cheapest way to reduce vegetation,” he said, noting those fires must always be carefully managed. In addition, the state has increased its funding for these projects because of recent fires. If a wildfire grew into a serious threat, Truckee Police Chief Robert Leftwich said residents should have an evacuation plan in place in case it’s necessary. This should include which route to take when ordered to evacuate, as well as personal items that should be packed in an emergency bag and taken quickly, he said. While the police department can handle gridlock on roadways, as well as ordering evacuations, Leftwich said everything will run more monthly if residents are prepared. “The more people in our community that have a plan, the better off we’re going to be,” he said. Leftwich urged anyone who hadn’t already to sign up for Nixle alerts which provide up to date alerts including evacuation orders. “That and developing a personal guide are the absolute two best things you can do for yourself,” he said. Hannah Jones is a reporter for the Truckee Sun. She can be reached at hjones@sierrasun.com or 530-550-2652.